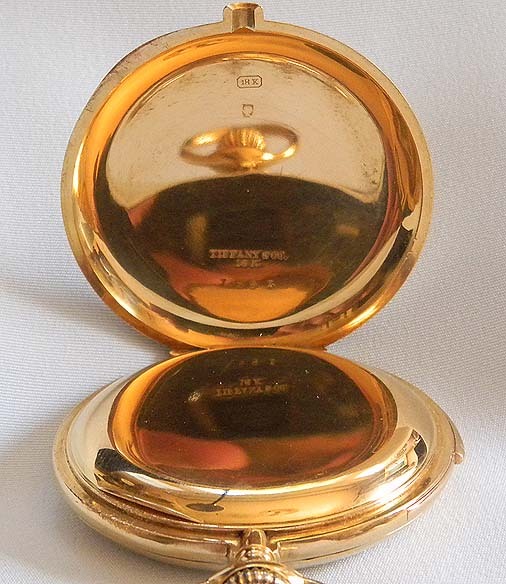 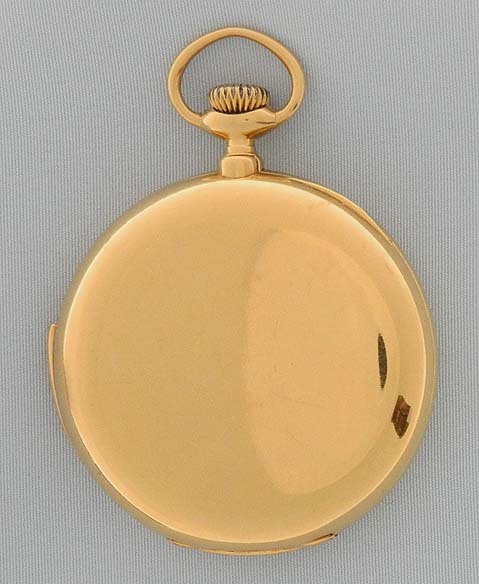 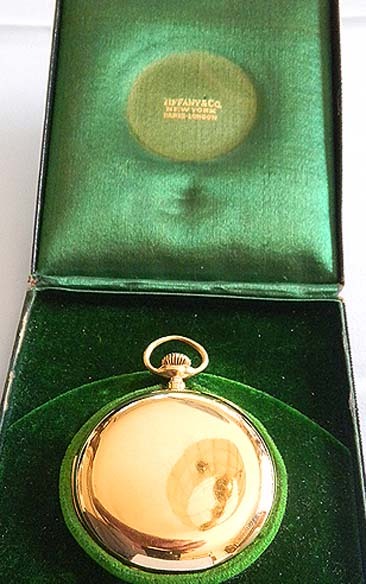 Fine and scarce Audemars Piguet slim 18K gold 5-minute repeater with original box made for Tiffany circa 1903. 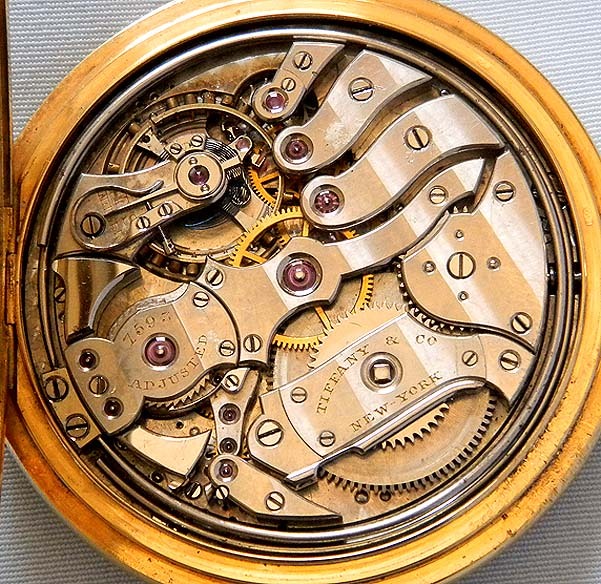 First quality estimated 34 jewel nickel movement marked "Adjusted" with distinctive Audemars "S" shaped bridges, precision regulator, and wolf tooth winding jeweled to the hammers and the center. 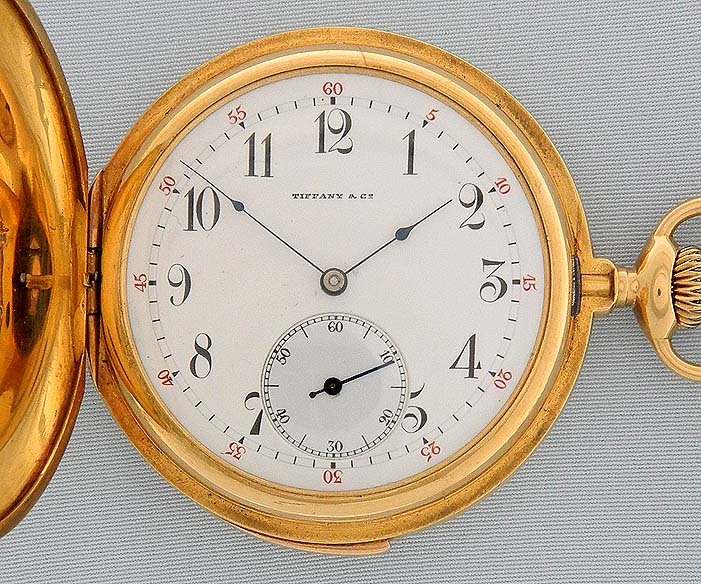 Fine white enamel dial with red and black numbers and blued steel hands. 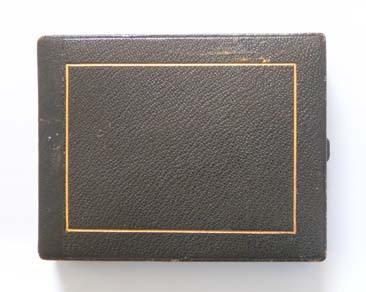 Plain polish substantial slim case with recessed repeater slide. 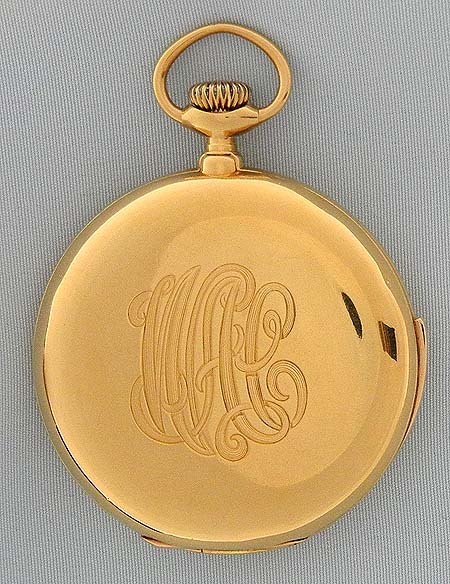 When activated this watch chimes the hours and 5-minute intervals with loud and clear tones. 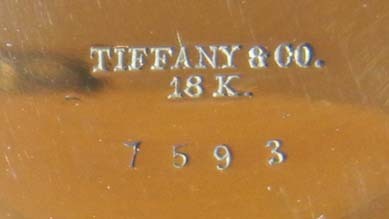 Sold with correspondence from Audemars confirming manufacture of this watch.